This is a photo i took earlier this year of one end of what was then Binions Horseshoe. When Harrahs resold the casino they took the Horseshoe name with them as well as the World Series Of Poker which had always been held here. 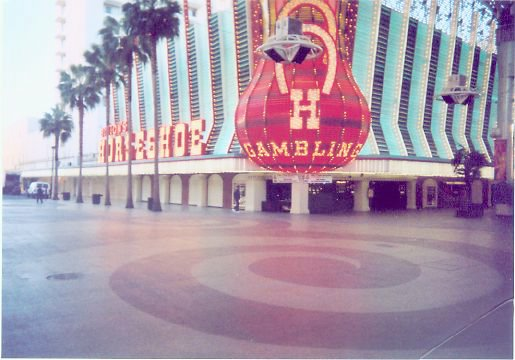 Because Harrahs took the name the signature Horseshoe signage was removed and now in this spot the is just a big space showing brick where the sign used to be. The casino now called just Binions is now rumored to be in trouble financially if that is true it would explain why they haven’t fixed the signage.